Before a safe medication can be manufactured and prescribed, it must be designed. If there is an unknown or undisclosed safety issue with the design, then people may be hurt by the medication even if the manufacturer follows the design plan exactly. When Is an Unknown Side Effect a Design Defect? Prescription drugs are regulated because they have significant effects on the body. These drugs are approved by the Food and Drug Administration (FDA) because the potential benefits of the medication outweigh the known risks of the medication for some patients. 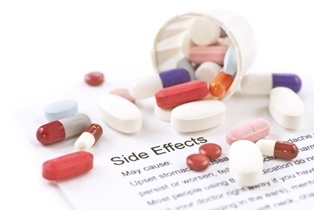 However, many FDA approved drugs have long lists of potential side effects. Those side effects may have been discovered during the drug’s design process and included on the medication’s safety label. A potential side effect—that is known and that patients are warned about—does not indicate that the drug has a design defect. A pharmaceutical company fails to adequately test a new medication to determine whether it is safe and to identify risks that could be reasonably discovered. A pharmaceutical company fails to truthfully communicate with the FDA during a medication’s approval process. A pharmaceutical company fails to anticipate potential interactions with other medications or foods. A pharmaceutical company fails to consider other, potentially safer, alternatives. How serious the danger or side effect is that was not known or disclosed. How likely it is that the danger or side effect will occur. Whether it was possible for the pharmaceutical company to make a safer medication. How much it would have cost the pharmaceutical company to make a safer medication. All of these factors may be considered when deciding whether or not a drug is defective. Your medical records that prove the extent of your injury and the connection between your injury and the medication. Documentation of the drug’s design process, including testing. Documentation provided to the FDA during the drug’s approval process. It may be easy to get your own medical records, but it is considerably more difficult to get the documentation that you need from the pharmaceutical company. Our experienced lawyers can request this information in a legally compelling way so that you can find out exactly why you were hurt and so that you can make an informed decision about what to do next. Prescription drugs do not need to be risk-free when they are approved by the FDA or prescribed to patients. However, all reasonably foreseeable side effects should be known and appropriate warnings of those risks should be made so that each individual patient can make an informed decision about whether or not to take the drug. A design defect takes away a patient’s right to make an informed decision about taking a medication after weighing the drug’s likely benefits and risks. If this has happened to you and you have been injured by a defective drug, then you may have the right to make a legal recovery from the pharmaceutical company that failed to design a safe medication. You may not know right away what caused your serious adverse reaction to your medication, but a full investigation by our experienced prescription drug injury lawyers can help you get the information that you need so that you can make a fair recovery from the party that is responsible for your injury. Please contact our mass tort lawyers today to schedule a free consultation and to learn more about protecting your rights.